Homeopathy is a system of alternative medicine like allopathy , ayurvedic etc. It was discovered by Dr. Samuel Hahnemann in the year 1796. It is based upon the natures law of similia similibus curenture (Like cures Like). Homeopathy has been used worldwide since last more than 200 years. It has been used all over the world but most popular in India and South America. Homeopathy is a gentle, safe and effective mode of treatment. It will cure the diseases permanently from the root. The homeopathic system is based upon individual approach. A detail case study is required to prescribe any homeopathic medicine. The concept of homeopathy is that the disease is caused because of disturbance in mind as well as in the body. Hence homeopathy treats the patient as a whole and not in individual parts and for all this detail history taking is required. 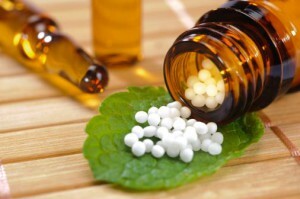 Homeopathy has a unique method of preparing medicines. Medicines are made by the method called potentisation. Medicines are prepaid out of natural resources hence they do not contain any side effects. They are absolutely safe and harmless. Homeopathy is used worldwide for a wide range of disease. 90% of diseases in the world can be treated with homeopathic medicine. There are diseases where homeopathy cannot cure the patient, like in cases of cancer, renal failure, and many others. In such cases, homeopathy plays a palliative role where it can give symptomatic relief or supportive line of treatment. In modern days people do not have the patience to wait. They want quick and immediate results but they do not really understand that there are chances of recurrences and side effects by that way. Homeopathy is slow but gives permanent results. There are so many diseases in the world which can be taken care off only with homeopathy and in the cases where only allopathic is indicated, homeopathy plays an important role as a supportive line of treatment. At Life Force Homeopathy, our main aim is to spread the word of homeopathy to the world and to spread the awareness regarding homeopathy.